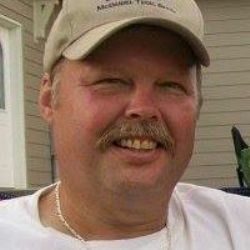 Robert J “Mack” Kill age 56 of Longton, KS passed away on November 24, 2018 at his home. Mack was born on April 24, 1962 in Winfield to the late Frederick Kill II and Loretta “Kay” (Edwards) Kill/Claytor. Mack attended grade school in Moline and graduated from Elk Valley High School with the class of 1980. Right after graduation he had signed his intent to join the United States Army but shortly fell seriously ill and was never able to serve. Mack’s work resume is the blueprint of a jack of all trades, he worked in construction, the oil fields, underground utilities, Longton Coop, school bus driver, Hackney & Sons, Elk Manor Nursing Home, and Cessna. If one word could describe Mack, it would be volunteer, he was the first person to offer help to anyone in need. He was also a member of the Elk County Rural Fire Department serving over 25 years and many of those years being the Chief of district 1. He volunteered to drive the church bus for the youth group canoe trips, he volunteered with the Fishing Has No Boundaries, and served on many local boards and committees to make his hometown a little bit better. Mack was a generous person that always went above and beyond. Mack knew everyone, it was hard to go anywhere without running into someone that he didn’t know. He was an extraordinarily tough person, strong as an ox but on the same hand, one of the most gentle people you could have come across. Left to honor Mack’s life are his siblings, Bud Kill his wife Erin, Rick Kill his wife Carrie, Steph Kill, Michael Kill, Frank Kill his wife Megan, Kathryn Brogan her husband Tod, Tammy Kill, step-siblings Deanna Claytor, Jennifer McMillan, and Mark Claytor, step-mother Diane Kill, numerous nieces, nephews, aunts, uncles, cousins, and friends. He now rests with his parents, and stepbrother Sean Claytor.